Everything You Need to Know About Solar! What is the top reason that homeowners typically decide to make the switch to solar? To eliminate or significantly reduce their electric bills. On average, a monthly electric bill of $100 adds up to a $1,200 expense annually. Over the course of 20 years, that same $100 bill that might not seem “too high” will turn into $24,000 paid to your local utility company. This average is WITHOUT considering the constantly rising utility rates that will make this cost even higher. How do you fix this problem? Simple. You go solar and you take yourself out of this endless cycle, locking in your rates for electric right now before they even have the chance to climb another penny. Making the solar switch allows you to completely eliminate or drastically decrease your electric bill, so much so that your electricity costs will no longer be a significant factor in your budget. The savings that you are able to achieve with solar depends on how much energy your system produces and how much electricity you consume each month. Since electricity prices will continue to rise, the savings you see will continuously grow every year over the lifetime of your solar system. The reduction of one of your largest monthly expenses makes perfect sense, right? But on top of that, the benefits of solar aren’t just economic. Electricity prices are unpredictable and constantly changing, making them difficult to budget in your monthly expenses. By installing a solar system with EHS, you also fix your electricity costs and make them more predictable each month. As you may know, the price of utilities are constantly on the rise. Over the past 10 years, electricity prices have risen by an average of 3% each year. By making the solar switch and giving yourself the ability to eliminate or significantly decrease these expenses, you will ultimately save a lot of money in the long run. Installing a solar system protects you against these rising prices and makes your monthly bills more predictable and easier to budget. Seeing as you will be producing your own energy, you can say goodbye to the anxiety associated with the increasing and fluctuating energy prices. A common misconception is that you have to be prepared to spend a lot of money up front to purchase a solar system for your home. There are several reasons why it has not been easy to install solar panels in Florida in the past, but as solar continues to drop in price year by year, lawmakers and consumers alike are putting their attention on this initiative. There is no better time to look into a solar panel system in Florida than in 2018. New laws are being passed, more incentives and rebates are being offered and prices are steadily dropping. Until recently, it was not possible to take a loan out for a solar project in Florida. In 2018 however, it is different, and for those who do want to go down this path, it is now possible. The benefits of taking a solar loan is that there is no down-payment, and you still can make use of the 30% federal tax credit. In addition, the loan payments are often lower than your original, non-solar electricity bill. As long as you continue to pay off your loan over the next several years, you will still end up saving thousands of dollars in the long-run. Even if you don’t have the cash to buy a solar energy system up front, you can still reduce energy costs by financing your solar panel system with a solar loan. Our financing options require no money down and reduce your monthly expenses from day one of installation. As an added benefit, your monthly energy costs will no longer fluctuate – they will simply be the monthly amount of your loan or lease payment. 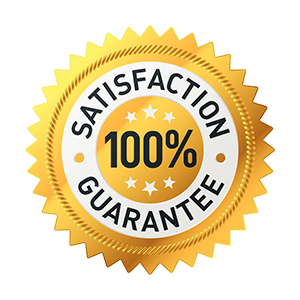 And, to give you peace of mind in entrusting your home to us, we offer an exclusive guarantee. We will track your energy bills for the first 12 months after installing our upgrades and, if you’re not saving the amount of money we promised, we will promptly come to your home to solve the problem. 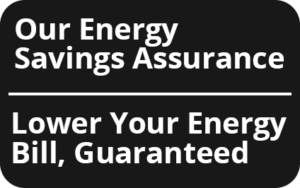 As part of this guarantee, if we fail to lower your monthly energy costs by the amount we promised, we will give you back the difference between what you used to pay and the amount you’re paying after our upgrades. We are confident, however, that the addition of new solar panels, attic insulation, or other recommended energy-efficient upgrades will yield the savings you seek. In a study conducted by Lawrence Berkeley National Laboratory, researchers found that buyers were willing to pay a premium of $15,000 for a home with the average-size solar photovoltaic system (3.6 kilowatts, or 3,600 watts), compared with a similar home without one. Put another way, that translates to about four additional dollars per watt of solar power. These homes were also sold, on average, 22% faster than surrounding homes without solar systems. The key finding: on average, homebuyers are “consistently willing to pay PV home premiums” of approximately $4 per watt of installed solar capacity (note: this study only covered homes where the solar PV system was owned, not leased). For a standard 6-kilowatt solar PV system, this means that solar can add $24,000 to your home’s resale value. According to the U.S. Environmental Protection Agency, the average household emits approximately 20 metric tons of carbon pollution each year. By installing a solar power system, a typical two-person household reduces their carbon emissions by three to four tons annually. The U.S. Green Building Council reports that buildings contribute 39 percent of all carbon emissions in the United States. Going solar helps to decrease these effects. While every home, business or non-profit that adopts solar power makes a dent in our pollution levels, the cumulative effect of property owners adopting solar across the country is what really makes a lasting impact. How, exactly, does solar reduce greenhouse gas emissions? The electricity that solar panels produce is completely emissions free. When you use renewable solar energy to meet your energy needs, you reduce the demand for electricity from your utility. The average EHS Solar PV panel system will offset 178 tons of carbon dioxide over 30 years. Planting 10 football fields full of trees. 5. How Does Solar Energy Work? Solar panel systems are a great way for you to save money, no matter what your budget is. If you can afford to pay your electricity bill every month, you can afford to install a solar panel system. With a $0-down solar loan from EHS, you can finance your system and see immediate savings. Installing a solar panel system is a great investment. Investing in a solar panel system can deliver better returns than stocks and bonds – and now is the right time to make that investment. While solar photovoltaic technology is improving incrementally each year, financial incentives and rebates will decrease as solar becomes more popular. Solar photovoltaic systems have been around for a long time. Solar photovoltaic systems are a well-proven technology first invented in 1954 by scientists at Bell Labs. Today, solar panels are installed on over one million homes in the U.S. At EHS, our solar panels are manufactured right here in Jacksonville, Florida. Solar panel systems are highly durable. Solar photovoltaic panels are made of tempered glass and can withstand hail, snow, rain, and high winds. They can even extend the life of your roof by protecting it from daily wear and tear. Solar power systems can produce electricity for 25 or more years. When you purchase your system through Efficient Home Services, your solar panels are covered by a substantial 25-year warranty. Solar power systems are practically maintenance-free. We specifically chose our solar panels because they are incredibly durable, an important factor in Florida due to hurricanes. Other than extreme circumstances, they really don’t need to be washed or cleaned. 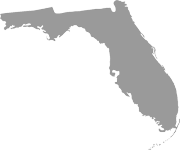 Solar Power is a perfect fit for the “Sunshine State” Most locations in the Florida get enough sunlight to produce sufficient electricity from solar panels. The most important factors to consider when you evaluate your solar panel options are the rates you pay for electricity and the rebates and incentives available to you. Solar energy systems are tied to the electric grid and do not require batteries to store power. When you install a solar energy system on your property with EHS, you remain connected to the electricity grid. When your system produces more electricity than you use, you receive credit for the electricity you send to the grid; if you need more electricity than your solar energy system is producing, you can draw it from the grid. Solar power systems can eliminate most of your electricity bill. When you go solar with Efficient Home Services, we will design your system so that it is tailored to generate enough electricity to meet your needs. As long as you have enough roof space to install the right size solar panel system, the power that your panels will produce will effectively eliminate the entirety or majority of your electricity bill. Solar photovoltaic panels can be installed on the roof of your home or even on the ground in some cases Solar panels can be installed practically anywhere that receives direct sunshine for most of the day and is not shaded by trees or buildings. Panels that face south will produce the most electricity, but your panels can also face east or west. At Efficient Home Services, we have found that the best choice for our homeowners is mono-crystalline solar panels. Monocrystalline solar cells are made out of silicon ingots, which are cylindrical in shape. To optimize performance and lower costs of a single monocrystalline solar cell, four sides are cut out of the cylindrical ingots to make silicon wafers, which is what gives monocrystalline solar panels their characteristic look. Mono-crystalline solar panels have the highest efficiency rates since they are made out of the highest-grade silicon. The efficiency rates of mono-crystalline solar panels are typically 15-20%. Mono-crystalline solar panels live the longest. Because of their durability and resilience, our panels are covered by a 25-year warranty. Mono-crystalline solar panels perform the best in low-light. These panels tend to perform better than similarly rated polycrystalline solar panels at low-light conditions. The cells in your solar panels collect the sun’s energy and turn it into direct current (DC) electricity. Most homes, however, use alternating current (AC). Inverters change the DC electricity from your panels into usable AC electricity. At EHS, our inverters combine sophisticated digital control technology with efficient power conversion architecture to achieve superior solar power harvesting and best-in-class reliability. Our single-phase inverter comes with a built-in DC safety switch, integrated rapid shutdown and a standard 12-year warranty. Racking and mounting systems are used to affix your solar panels either to your roof or to the ground. They also allow you to position your panels at an angle that is best for capturing the sun’s rays. To perform at their best, solar panels should face south and be installed at an angle between 30 and 45 degrees (depending on how far you are from the equator). Panels facing east or west and at a pitch angle of five degrees or more will still work well, but will produce 10 to 20 percent less electricity than those installed under ideal conditions. EHS includes a monitoring receiver with every system that has been integrated into the single phase inverter and aggregates the power optimizer performance data from each PV module. This data can be transmitted to the web and accessed via the monitoring platform on your tablet or smartphone for performance analysis, fault detection and troubleshooting of PV systems. Our performance monitoring systems provide you with detailed information about the performance of your solar panel system. With a monitoring system, you can measure and track the amount of electricity your system produces on an hourly basis. While some solar installers charge extra for installing a monitoring system, we include monitoring in every single one of our systems at no additional cost to you. Monitoring systems help you identify any performance issues to ensure that you maximize the electricity production (and therefore the financial returns) of your solar panel system. Solar Systems installed by Efficient Home Services use power optimizers – a hybrid of micro-inverter and string inverter systems. So, what makes power optimizers so special? Instead of converting the DC electricity from the solar panels into AC electricity, the optimizers “condition” the DC electricity before sending it to a centralized inverter. Your solar installation team arrives. A team of expert installers will introduce themselves, review your personalized solar panel installation plan and ask you for access to work areas like your electrical panel and attic. Simple enough. The crew marks off work zones. This step is necessary so the team can gain better access to work areas. They will be as neat as possible but since your home is a temporary work site, you’ll probably be seeing a few tools and materials in designated areas during the solar installation process. Safety ropes are installed, as well as the rails your solar panels will sit on. You may hear some noise when this happens, but it’s nothing to worry about. Rest assured that the solar panel installation team will securely seal all holes at the end of installation. Plus, you have the peace of mind of knowing that you’re covered by our warranty. Electrical equipment goes on the side of your home. Crew members will mount equipment such as an inverter, a meter and electrical disconnects. They’ll also install electrical wiring (known as conduit) to connect the equipment and custom design it for your home. Up go the solar panels and down goes the crew, leaving your home as spotless as they found it. Now, you’re one step closer to getting clean, renewable energy! Within the next few weeks, the city or county will do its final inspection. Then your local utility company installs its net meter and gives you permission to operate or PTO (don’t worry we submit all that paperwork for you) and you’re good to go. Congratulations, the solar panel installation is complete! Now you can tap into those shiny new, energy-generating solar panels and start saving big on your electric bill.